On September 17, 2013, Star Citizen director Chris Roberts wrote a public letter in celebration of a milestone achievement: He and his team had raised a whopping $19 million from fans, significantly more than any other crowdfunding project in history. Roberts, best known as the designer of Wing Commander and a pioneer of the space-sim genre, had announced Star Citizen in October 2012 with an ambitious crowdfunding drive (followed shortly by a Kickstarter) that made tons of lofty promises. Pitched as “a rich universe focused on epic space adventure, trading and dogfighting in first person,” Star Citizen had drawn instant attention—and millions of dollars—from PC gamers who wanted to live out the fantasy of space traversal in a huge, persistent universe full of alien starships and futuristic mercenaries. Roberts and crew would go on to continue raising money outside of Kickstarter, selling millions worth of pricey luxury ships on their website with promises that more money would lead to bigger, better things for the game. Two years later, they still don’t have much to show. Star Citizen has pulled in a staggering $87.5 million from fans, and over 200 people are currently working on the game in offices across four countries—in addition to contractors and third-party partners like Behaviour Interactive—but that promised November 2014 release date has come and gone. Today, players can access two parts of the game: A hangar for storing and observing spaceships, and a multiplayer dogfighting module called Arena Commander that contains multiple modes and a horde shooting section called Vanduul Swarm. It’s a fraction of what Roberts has promised over the past few years—an MMO-style sandbox universe with a complete single-player story, a complex economy, and countless star systems and planets to explore—and many fans have wondered why all those tens of millions of dollars haven’t led to more tangible results. At Gamescom earlier this month, Roberts showed footage of some of the features they’ve been working on. Some of it looked impressive, and sure enough, the promise of new ships led to a $1.5 million bump for Star Citizen. But just what’s taken so long? Why, in August of 2015, does it feel like Star Citizen is even further away from completion than it was two years ago? Is all this money doing a disservice to the game’s development? Still, people who have worked at Star Citizen development studio Cloud Imperium, speaking under condition of anonymity because they were not authorized to speak publicly about their work on Star Citizen, point to Roberts’ ambition and leadership style as one of the main causes of the game’s delays. As an example, one high-level ex-employee shared the story of the Menu Helmet. At one point, according to that employee, Roberts decided he wanted players to have to find and wear an in-game helmet in order to gain access to the menu in Arena Commander. Some developers tried to shoot down the idea, noting that players would grow frustrated if they couldn’t find something as essential as a menu, but Roberts insisted, so a team of developers spent weeks making it work. Then, according to that source, Roberts tried it, only to realize that it wasn’t actually fun. So they scrapped the whole thing and went back to a regular menu system. Roberts’ account of the Menu Helmet is quite different. In an e-mail this week, he said it had come about because Star Citizen’s main menu UI wasn’t far along enough, and players needed a way to select what ship from their hangar they wanted to fly in Arena Commander. Problem: the hangar is also intended to function as a ship gallery, where you can hop into ships and have a gander at all their immaculately rendered buttons and knobs. Solution: have them wear a helmet to designate that they want to play Arena Commander, not just look around in their ship. Ultimately, Roberts said, once CIG decided they wanted to be able to launch Star Marine from the hangar too, the helmet method started making less sense. So they switched over to an in-game VR Pod. They also added a quick launch menu option for people who’d prefer to bypass all of that. So, according to Roberts’ account, it was still a lot of time and effort expended on a feature that didn’t stay in the game for long, but it wound up making sense in the long run. Still, some familiar with the game’s development believe that this is an unorthodox situation, and that Roberts’ ambition has led to all sorts of development complications. 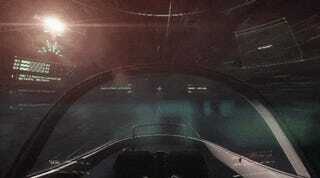 Two sources pointed to Star Citizen’s unusual first-person camera as an example of this. Usually, video games that use both first- and third-person perspectives display different animations based on how you’re perceiving the game—in Skyrim, for example, your sword swing will look a lot different in first-person than it does when you’re zoomed out of your character’s eyes. 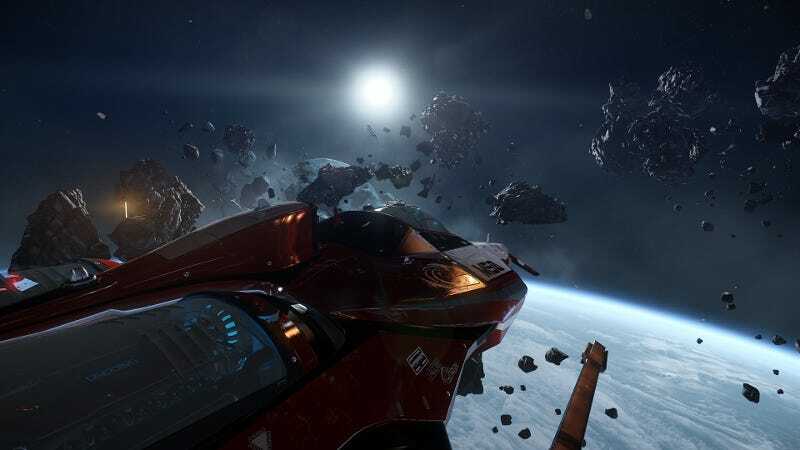 For Star Citizen, Roberts wants to maintain the same animations no matter which perspective a player uses—his goal, as always, was to be more ambitious than anything else out there. But according to two high-level sources, this system has been messy and at times disorienting, leading to several overhauls and delays, including one that pushed the shooter module Star Marine back by months. One source said they had to scrap and redo player skeletons—a core part of the animation system—a whopping seven times. The ex-employees who spoke to me for this story say that Roberts’ love of high-concept features often took precedence over getting things done. Roberts, for his part, argues that those ex-employees didn’t have a full understanding of why he chose to spend so much time on this animation feature. 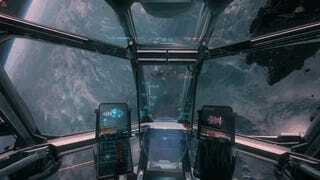 Star Citizen still has a long road ahead of it. The current Arena Commander module is a solid spaceship combat game, but it’s a far cry from the grandeur of the game fans were promised. Recent demos have shown off features like a social plaza, first-person firefights, and multi-crew ships, but they won’t be playable for at least a few months. The plan, ultimately, is to take all of Star Citizen’s features and unify them into a single persistent universe, but that’s still a ways off. Roberts told me he wants to have that part up and running—to essentially have the “full” game available—in 2016. He added, however, that nothing’s set in stone. It’s a tough truth to face, for both players and Roberts himself: that Star Citizen—even after its meteoric rise to the top; even after promising all sorts of great-sounding features and a 2014 release date; even after pulling in $87.5 million—isn’t immune to the laws of inertia, gravity, and game development. The hope, of course, is that the game overcomes all that to become something great, even if it takes a little longer. But one ex-employee who worked closely with Cloud Imperium’s higher-ups is worried. Roberts, however, still believes in the way he’s chosen to do things. He thinks that modules will ultimately improve Star Citizen’s core feature set, and that—again—an increasingly ambitious scope is “the whole damn point.” So he’s gonna keep at it until something big comes of all the hard work, and he hopes players will stick around in the meantime. “People aren’t aware of some of the risks of developing a game,” he said. “It might take longer than you estimated. There might be some aspect of the game that doesn’t turn out as fun as you thought. Features might get changed or canceled. Most of those things happen frequently in the game business. A lot of people just aren’t aware of it because, in the past, you’ve been shielded from the mechanics of how games get made. With crowdfunding, they’re getting an on-the-front-lines experience. Three years and $87.5 million later, we’re all hoping so.